France, and the South in particular, are well known for offering great wreck dives, many of them beyond the scope of recreational diving. 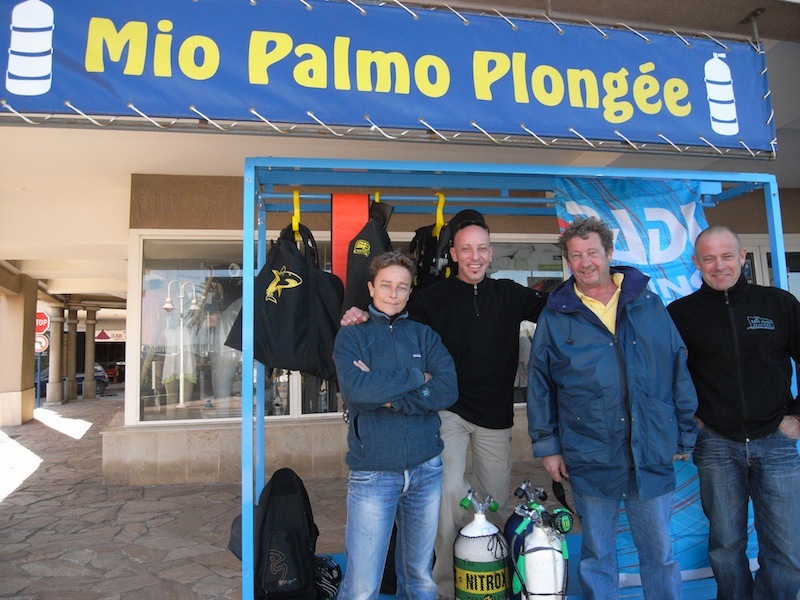 As Mio Palmo is one of the very few Dive Centers in France fully embracing the PADI philosophy and continuing education system, they quickly realized the potential of the new TecRec courses with the options of offering a sound progression through Tec 40, 45 and 50 and contacted me to run the Tec Deep Instructor program for them. Away from the busy week-ends, we spent two days converting their prior experience as divers and instructors from other training organizations to their applications in the TecRec programs. Passed the (not so) welcome Instructor exams which were made easier thanks to the French translations developed by my team (PADI approved of course! ), we enjoy glorious weather today to jump in the water and brilliantly complete the “Peer Review Waterskills” on a nice wreck, 20 meters below the surface of the Med. Hence, Jean Pomaret and Karin Fillieule completed their Tec Deep Instructor certification, while Pierre Onclerq completed the Tec 40 Instructor rating. It is a nice and positive feeling to know there is now a 5*IDC Center in that area with a real capacity to train divers in the various TecRec levels, as well as to cater to divers with such certifications who want to enjoy the fabulous wrecks available with a full recognition of their qualifications. Additionally, it is worth noting that with the recent changes in the French diving regulations, certifications such as Tec 40, Tec 45 and Tec50 allow Mio Palmo to train divers appropriately and take them to some of the most stunning dive sites in the area, while fully sticking to the intricate law they have to comply with.